MI vs DD Live Streaming: It’s the 9th T20 match of the ongoing IPL 2018 tournament. You can watch live cricket match today online on Hotstar and Jio TV. The live telecast / broadcast of Mumbai Indians vs Delhi Daredevils will be available on Star Sports network channels on television. There are going to be two matches on April 14. Mumbai and Delhi will play each other in Wankhede on Saturday. Both the teams suffered a similar fate in their tournament openers as they lost them. Then, they again lost their second matches and are lying at the bottom of IPL points table now. So, today’s match turns out to a crucial one for both of them as they get a chance to register one victory for themselves. 1.1 Date & Time: When is IPL 2018, Mumbai Indians vs Delhi Daredevils? 1.2 Venue: Where is IPL Delhi Daredevils vs Mumbai Indians? 1.4 How do I watch IPL 2018, Mumbai Indians vs Delhi Daredevils live streaming online? Since the inception of Indian Premier League, MumbaiIndians has give itself an image of slow starters in the tournament. However, they have been incredible on their home ground, the Wankhede. Looking at the trend, none of the two seems favorite. Still, an extra point will go in the Mumbai’s pool for play at their home. Daredevils led by Gautam will also be looking forward to shruff off their very bad start and win their first match in IPL season 11. It will be an interesting one to watch as both the teams require a victory and good start. Let’s see how the action goes. Date & Time: When is IPL 2018, Mumbai Indians vs Delhi Daredevils? The IPL DD vs MI T20 match will take place at 4 pm IST on Saturday, April 14. The toss for the ninth game of the tournament will be held at 3:30 pm IST, half an hour before the match actually starts. Venue: Where is IPL Delhi Daredevils vs Mumbai Indians? The 2018 Daredevils vs Indians twenty20 match is scheduled to be played at Wankhede Stadium in Mumbai. 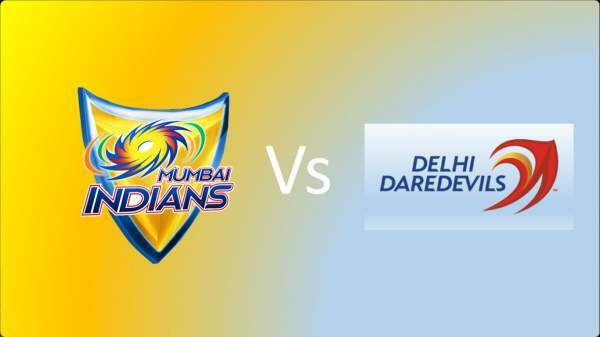 Today’s match of Indian Premier League season 11, MI v DD will have a broadcast on Star Sports 1 / HD, Star Sports Select 1 / HD in English. While, the fans can catch Hindi commentary on Star Sports 1 Hindi / HD. The network is the official broadcaster for the season. How do I watch IPL 2018, Mumbai Indians vs Delhi Daredevils live streaming online? In order to watch MI vs DD live streaming online, you need to go to Hotstar.com or open Hotstar app. Also, it will be streamed live on AirTel Live TV app and Jio TV application. Stay tuned to The Reporter Times for live cricket scores, ball by ball updates, match result, prediction, man of the match, video highlights, and much more. Don’t forget to share it on social media sites like Facebook, Twitter, Google Plus to let other fans also know. jb nhi dikhana rehta h to kis lie thodi der k lie dikhate ho match….